Mum is the word when you are giving a dramatic performance, using only facial expressions, gestures and movement to speak to an audience. You might have seen these characters on street corners, their faces painted white or wearing masks and their outer clothing is all black. These are mimes, doing what they do best, entertaining without using words. Silence is the key word behind this art form and expressing yourself through other means is essential. 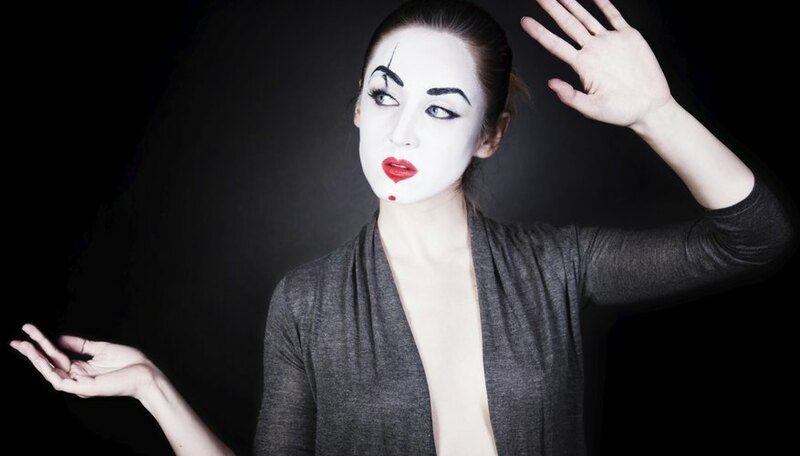 Mime is the art form of speaking without verbal communication. Through this art, your facial features and gestures are your speech. When you add the painted white face along with music and dance, you get a form of communication that is dramatic and engaging. The artists are well trained in the art of storytelling through movement and gestures only. 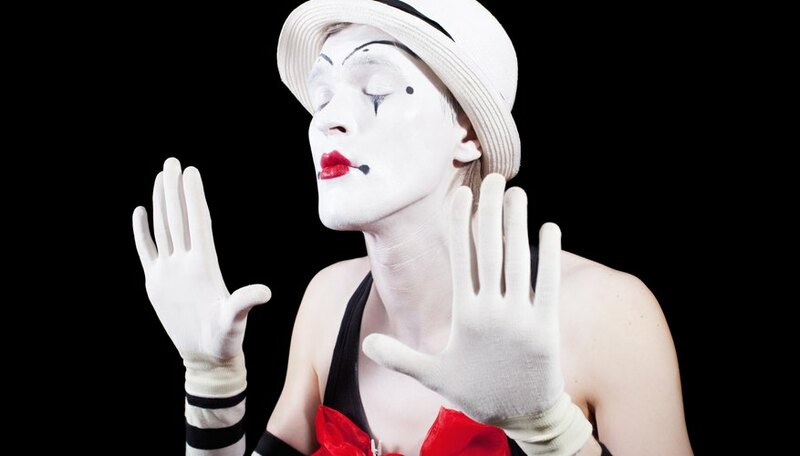 The clear distinction of a mime performance is that it involves silence. It is a "hold one's tongue" act. 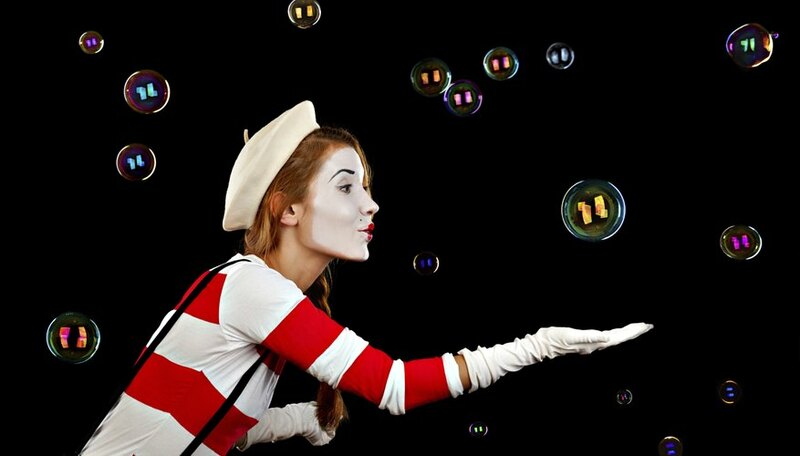 The history of mime began with the Ancient Greeks and the Romans, where they mimicked normal everyday situations in pantomime. It was not involved with storytelling as we see it today. Miming in past history also involved using masks as part of their costumes and show performances. This art form did not hit popularity in America until the 20th century. Once in the country, American artists bought something new to the art. The new craze was focused on bringing into the act dancing and acting while being silent. This was a significant distinction between the past and the present day performers. 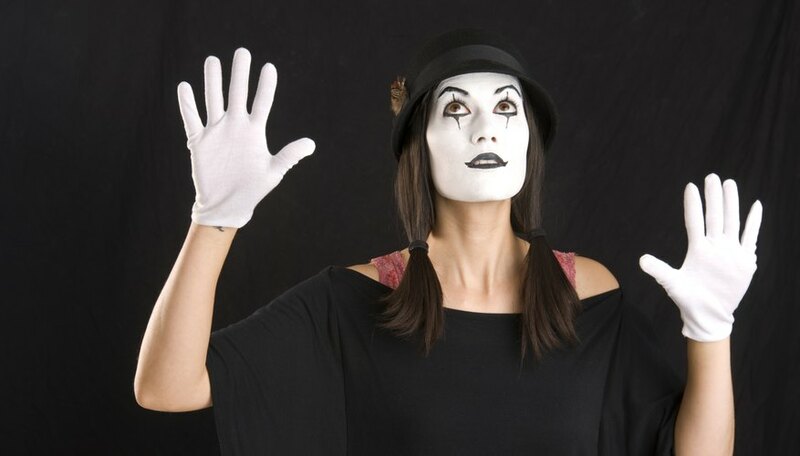 When you see a mime perform, the act is either a literal performance or an abstract performance. These are the two main characteristics of this creative art form. A mime performing a literal act is telling a story about a main character and the conflicts he is facing. However, the artist tells the entire storyline through gestures and expressions. A performer acting out an abstract scene will do so by acting out feelings, thoughts and images on and about a particular subject matter. These styles of performance can be done as a combination or as a single act using one or the other in a performance. With today's modern mime productions, this artistic form has been influenced by the days of black and white film or the era of silent film. We in the 20th century have seen this particular act noted in shows starring Red Skeleton. 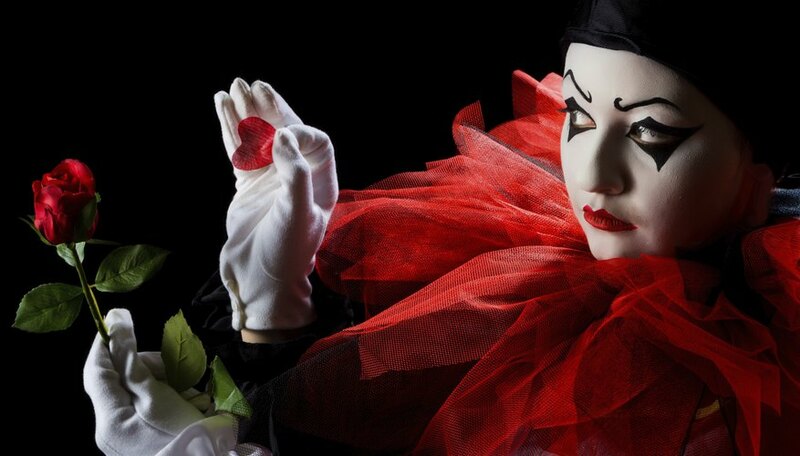 Though mime started out as a performance done on the streets, and in the Greek and Roman arenas in the past, today it is now being performed in theaters and churches across the nation. The new mime church troupes deliver a spiritual and moral message to the believers. The importance of mime in modern day theatrical performances, and especially for the beginners, is that it teaches discipline. It educates one on how to concentrate and stay focused. Mime teaches an actor not only how to express himself without words, but how to connect with the onlookers. It is important for the audience to feel with their sensory perceptions what the actor is portraying. When a mime accomplishes that goal, he is usually successful with the art form.